Deciduous and branching sub-shrub, ideal for hanging basket or in front of shrub border in warm climate. Leaves are scale-like and medium green in color. 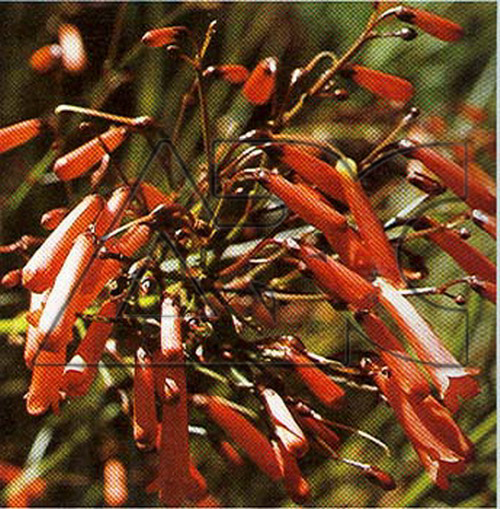 Tubular red flowers bloom from spring to fall. Grow in a sheltered site in well-drained, humus-rich, moderately fertile soil in full sun.